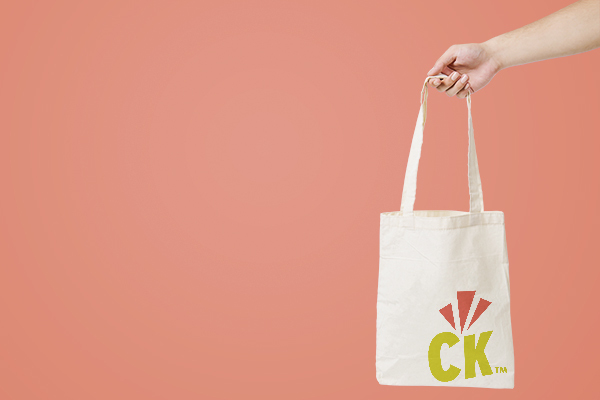 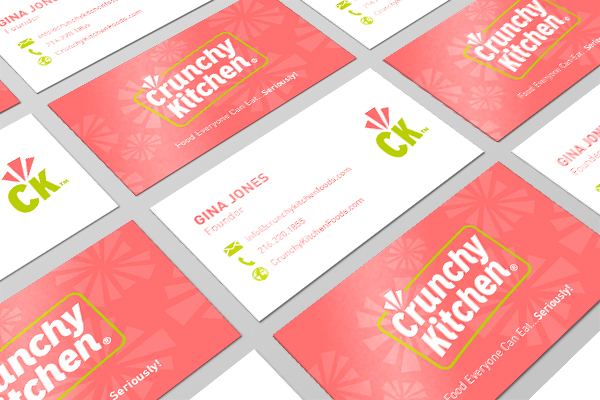 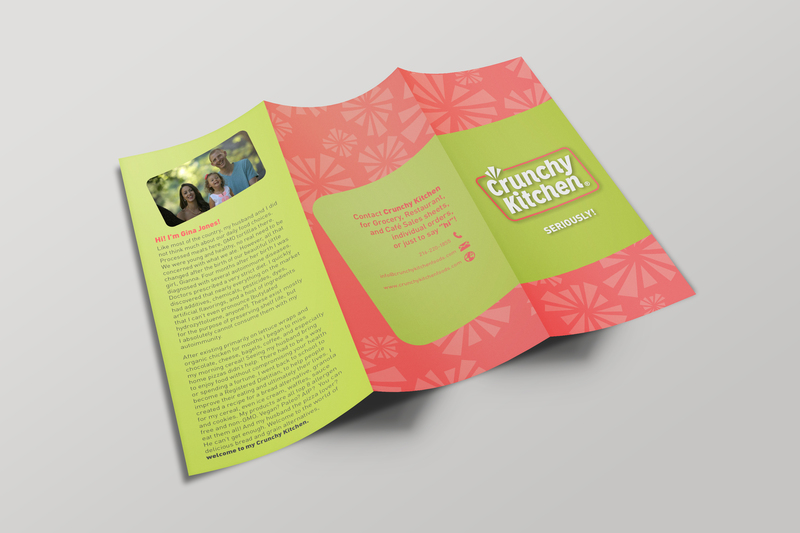 With a bold color palette and strong brand voice, Crunchy Kitchen is positioned for shelf-recognition and growth. 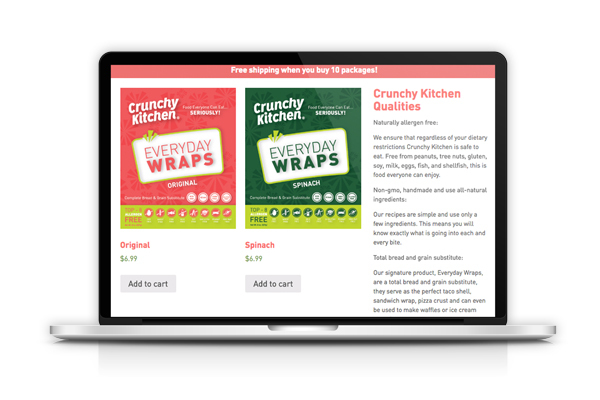 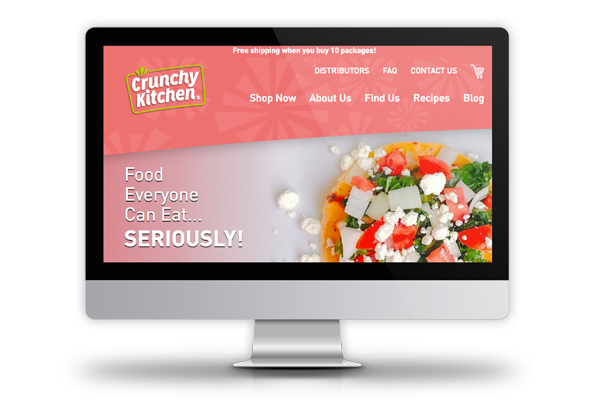 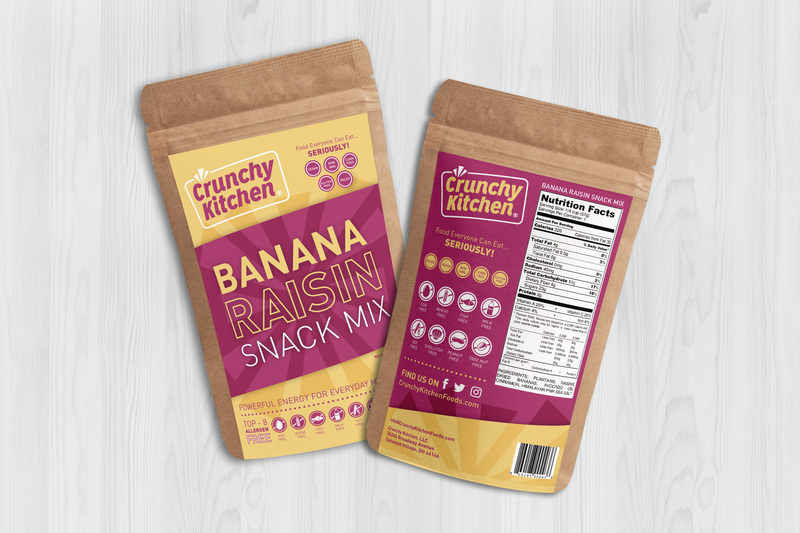 Crunchy Kitchen makes plantain based foods that everyone can eat… seriously! 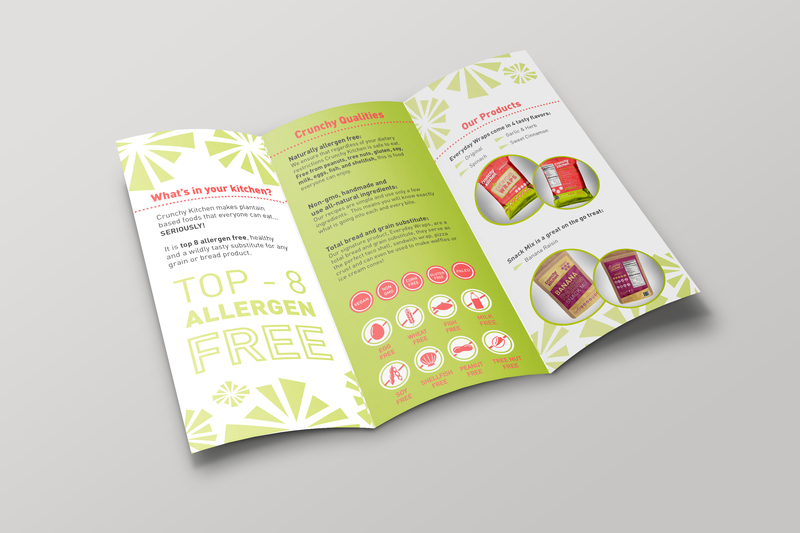 It is top 8 allergen free, healthy and a tasty substitute for any grain or bread product. 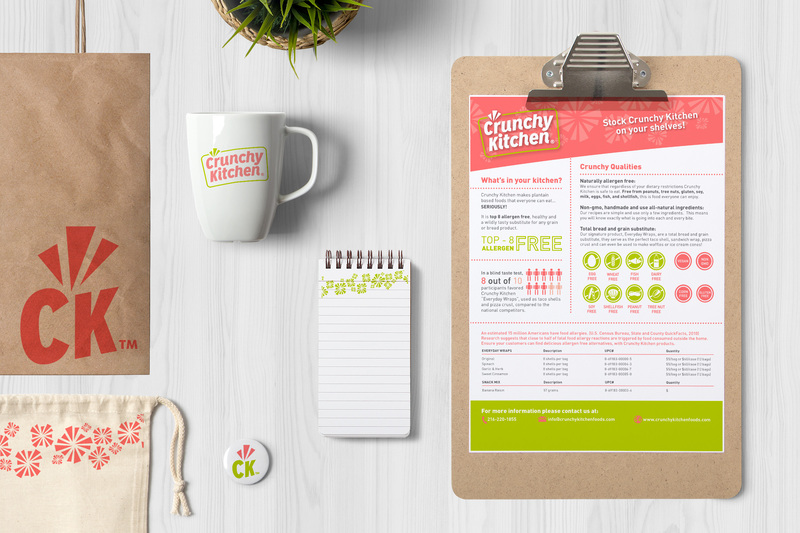 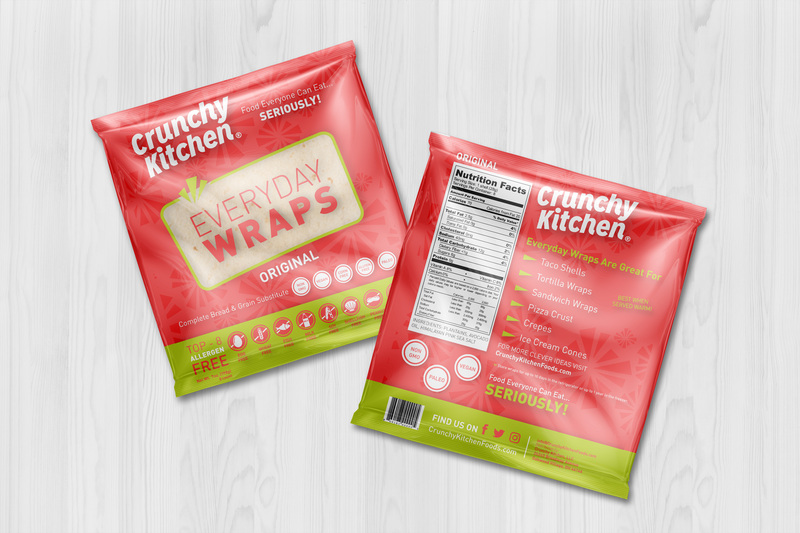 In re-branding Crunchy Kitchen, we targeted Health Conscious Consumers to expand their reach beyond the allergen free demographic. 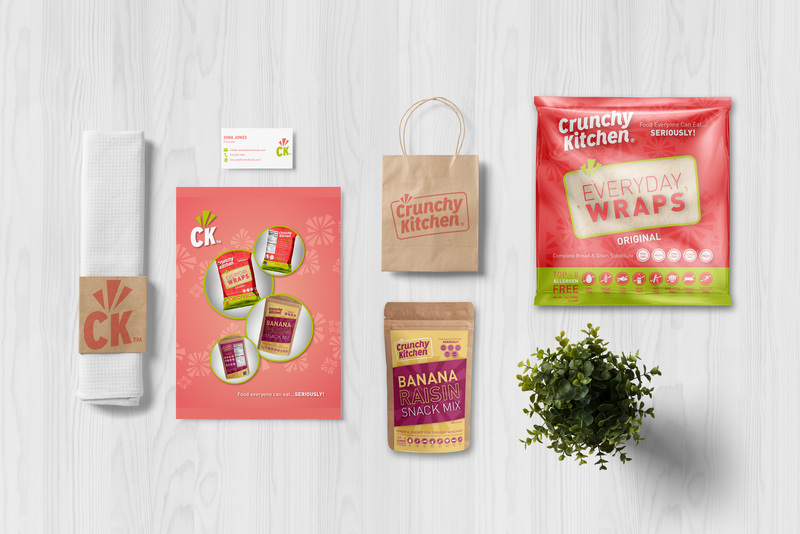 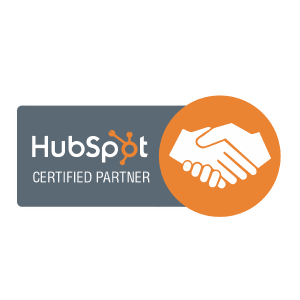 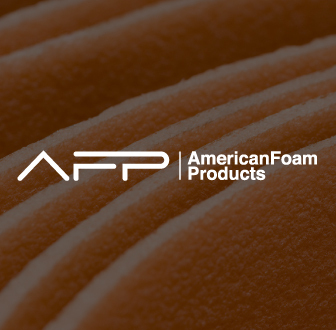 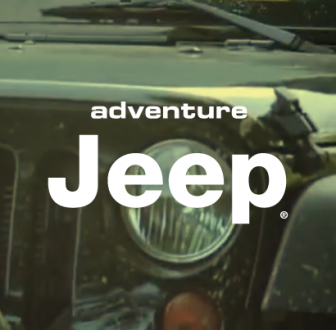 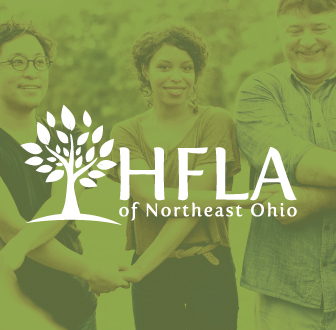 The brand showcases different ways to use the products and highlights recipes. 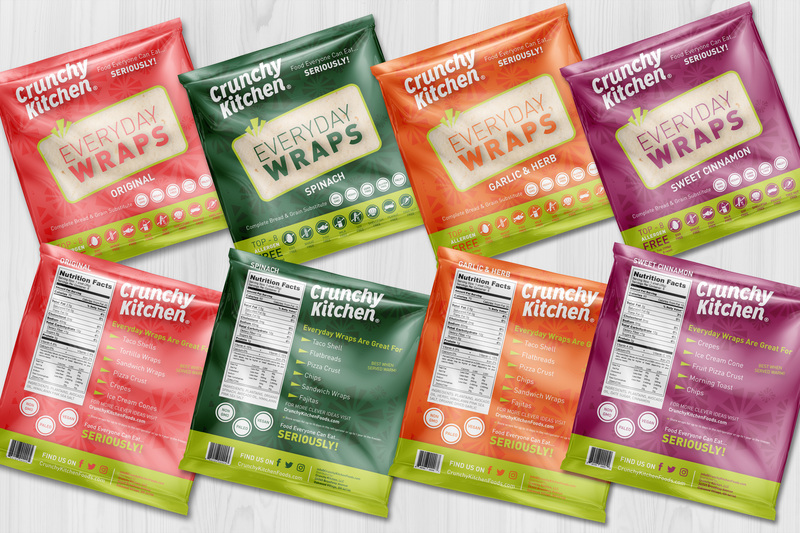 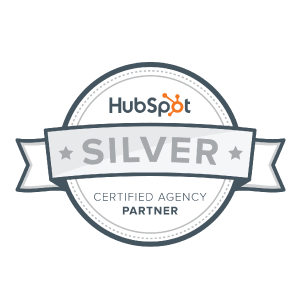 We also worked on sub-branding transforming their granola product to a snack mix, and tortillas to "Everyday Wraps."